What ERP Software as a Service Has to Offer? The Customize Windows > Computer and Internet > Cloud Computing > What ERP Software as a Service Has to Offer? What ERP Software as a Service has to offer? Enterprises are interested in the SaaS model of ERP but small and medium-sized should be calculative for ERP SaaS. Previously we wrote about Basics and Softwares of ERP or Enterprise Resource Planning.Previously, we wrote that the criterion for ERP SaaS Applications should fit regardless of the chosen deployment model like on-premise, SaaS or hybrid, an ERP system should be functional. Another part revolves around the contracts for ERP in the cloud. These are the basics. Until ERP software running properly, import and the updates cost several days for of a medium sized company. With ERP SaaS offers, this has been reduced. Because in this model, the software will permanently maintained by the manufacturer in the background, without the user being affected. And the costs are covered by the monthly usage fee. Cloud computing is primarily one of the support for the smallest organizations for the access to ERP as a cloud service, these companies could not otherwise afford ERP systems. This Article Has Been Shared 4021 Times! Articles Related to What ERP Software as a Service Has to Offer? Software as a Service or SaaS in short, is a subset of cloud computing. SaaS is based on the principle that the external infrastructure is used by the customer. Cloud Computing in the future is like the electrical power thought a century ago, computing power, storage would be available from companies with guarantee. ERP Software as a Service making and more companies interested but it still need cautious. For small business, individuals such offers can be interesting. Solarwinds Virtualization Manager is one of the remarkable software among their network, applications, virtualization and storage management softwares. 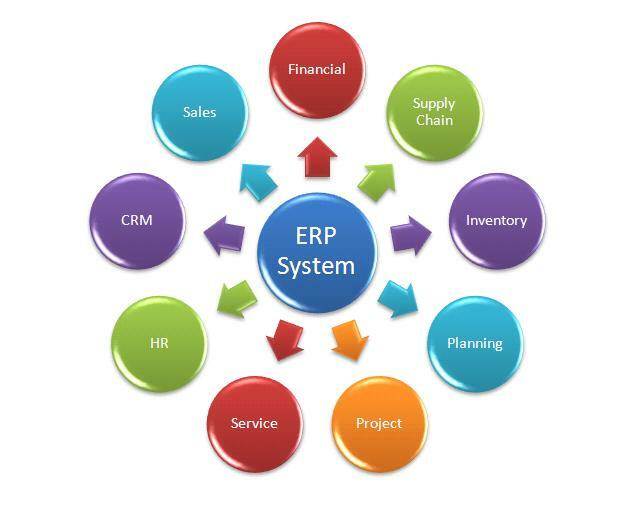 Title: What ERP Software as a Service Has to Offer? Cite this article as: Abhishek Ghosh, "What ERP Software as a Service Has to Offer?," in The Customize Windows, October 11, 2013, April 21, 2019, https://thecustomizewindows.com/2013/10/what-erp-software-as-a-service-has-to-offer/.